If your family is anything like my family, everyone shows up with an assigned dish for family dinners. I usually get asked to make a side dish. 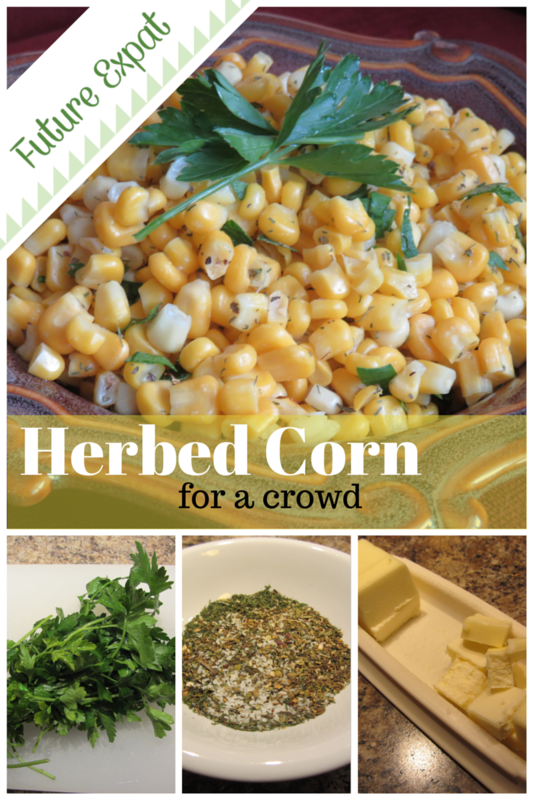 One of my favorite vegetables to make for dinner parties is my Herbed Corn for a Crowd. 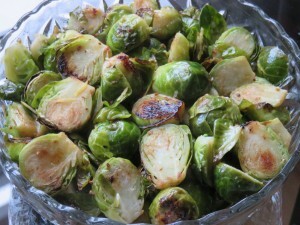 It’s really easy to make and is perfect for pot lucks. Once I finish mixing everything up, I dump it into a tupperware container and head out. A few minutes in the microwave is all it needs to be steaming hot on the buffet line. 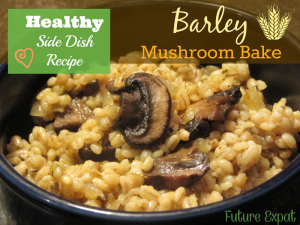 This recipe really is so easy that even a child could make it. 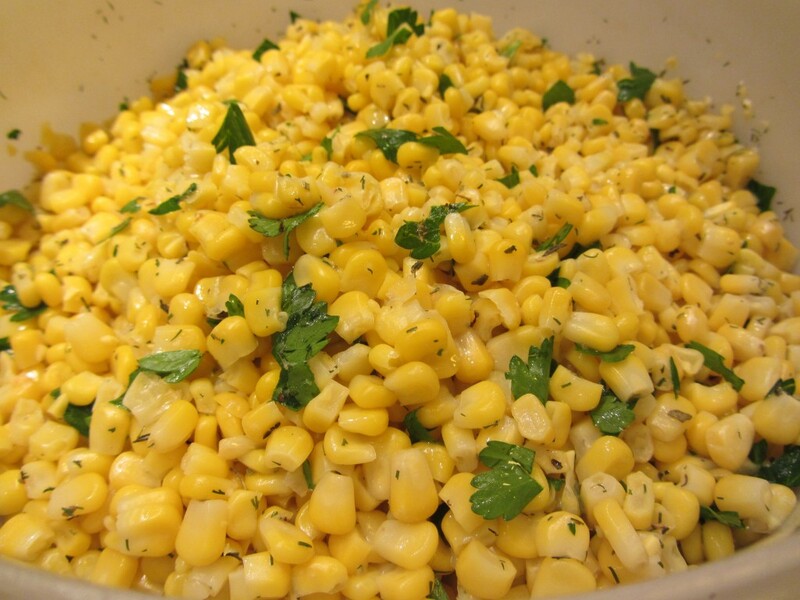 First, put the frozen corn and water into a pot and bring the water to a boil. If you need to add a little extra water, that’s ok. But the frozen corn will release water as it thaws too. Once the water boils, reduce the heat to low and cover the pot. Simmer for 5-6 minutes. Novice Notes: Boil means big bubbles that burst at the surface. Simmer means itty bitty bubbles that hug the edges of the pot. To get anything to boil, turn the burner to high. To get it to simmer, first get the liquid to a boil and then reduce to the lowest possible heat and cover the pot to keep the steam inside so the liquid doesn’t reduce while you are simmering. 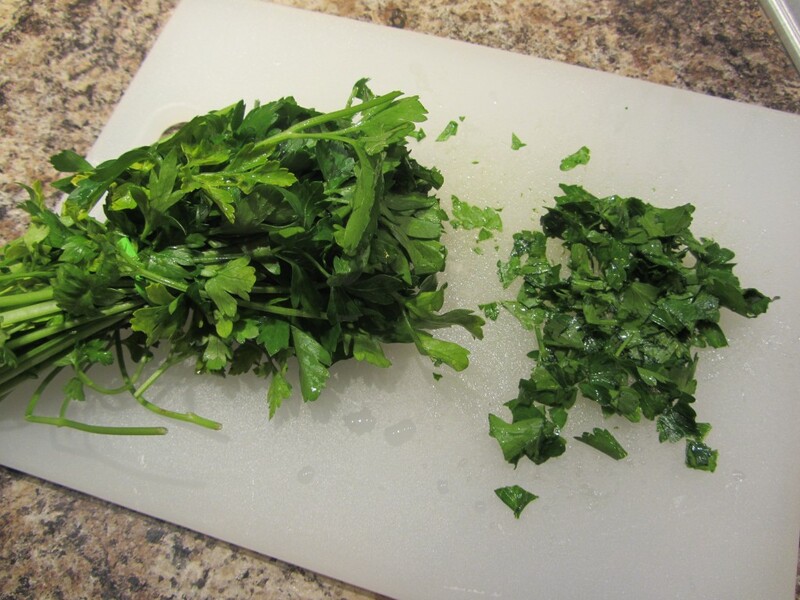 While the corn is simmering, take out a bunch of parsley and chop it up. 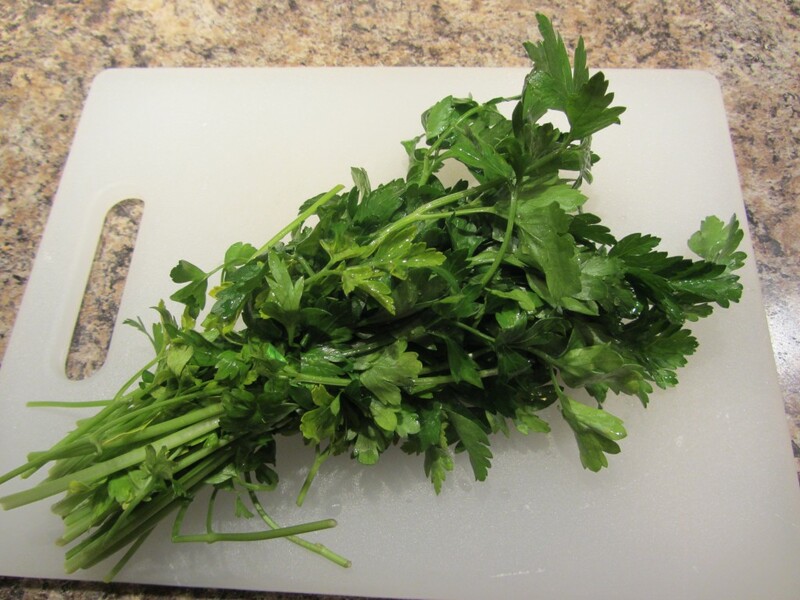 I find it easiest to take the entire bunch and just cut off the tops until I have what I need rather than pulling out a couple of stems and trying to cut the entire length. 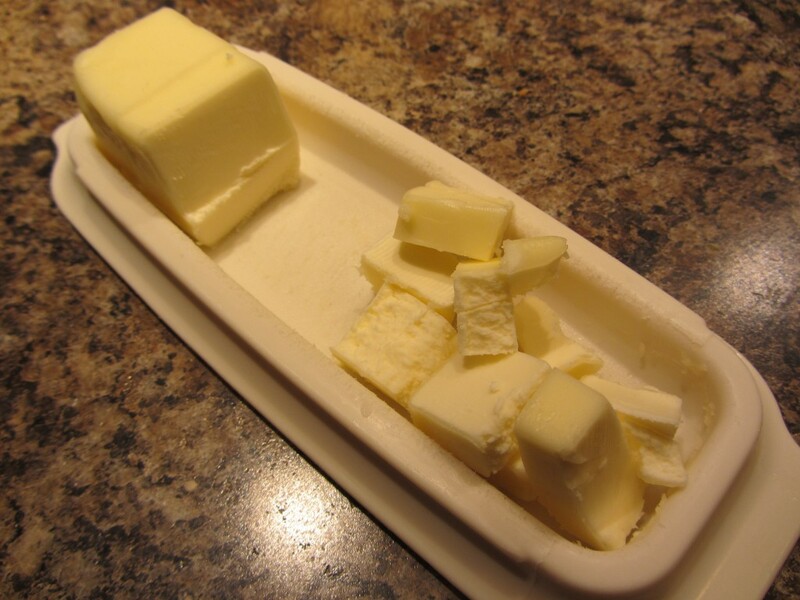 Next it’s time to cube up some butter. It’s much easier if the butter is cold from the fridge. Don’t worry about getting perfectly uniform pieces. It’s all going to melt anyway. 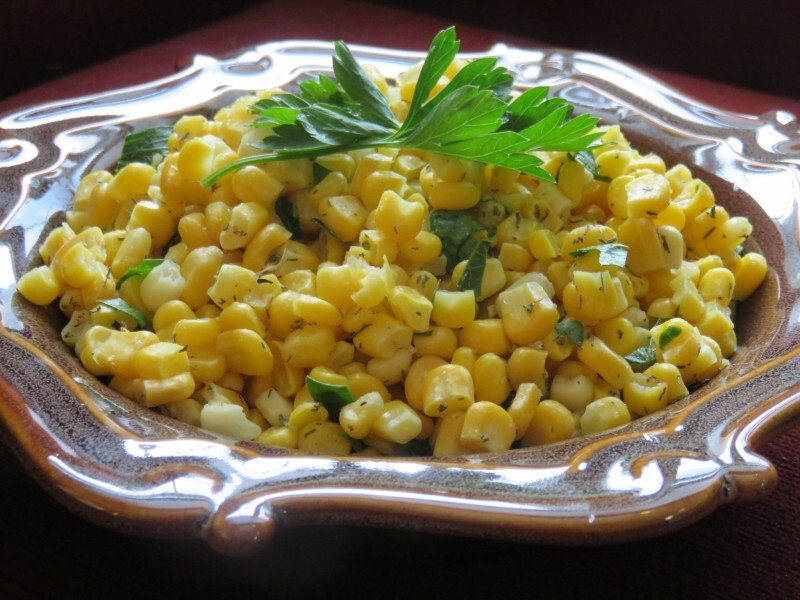 If you are still waiting on the corn to finish simmering, you can toss all of the herbs into a small dish. Or you can just wait for the next step and add them one at a time to the corn. 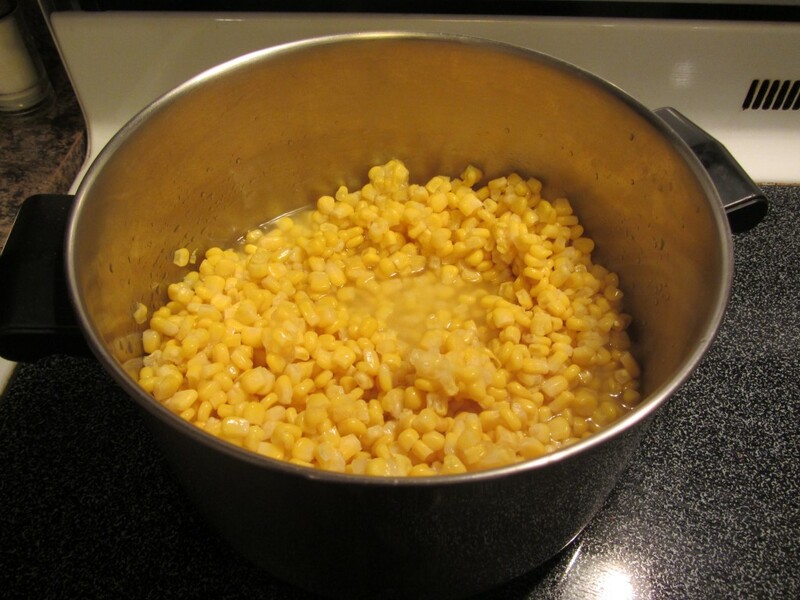 Once the corn is finished simmering, drain all of the water and return the corn back to the pot. 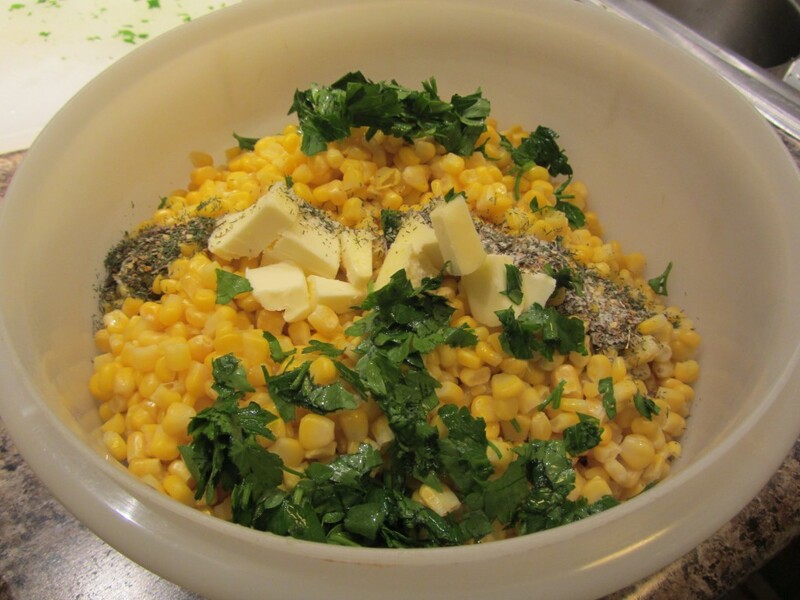 Or, if you are going to take it to a potluck or won’t be serving it right away, you can just pour the corn into your carton at this point. 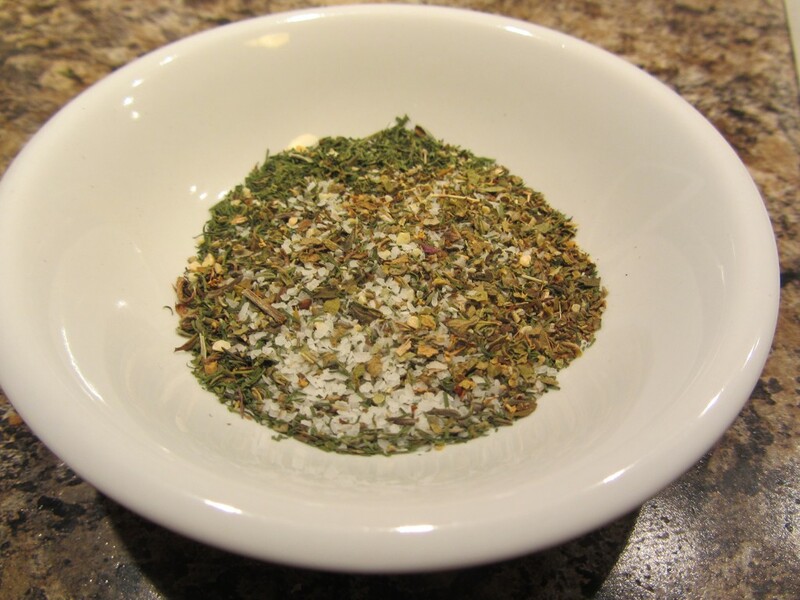 Add all of the other ingredients and give it a good stir. 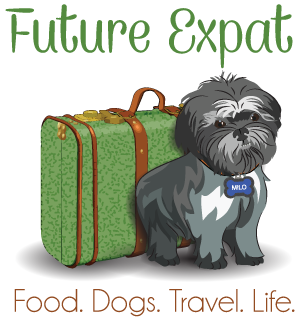 The butter will melt and you’ll be all ready to serve or reheat in the microwave later. This recipe is easy enough for even those who don’t cook at all. Give it a try and let me know what you think! 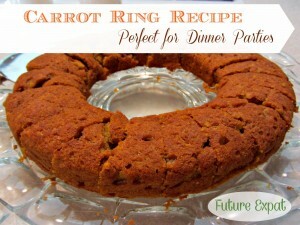 I discovered this recipe on Food.com and made slight modifications to the ingredients after making it a few times. Excellent corn!!! I halved the recipe and am happy to still have leftovers for tomorrow. 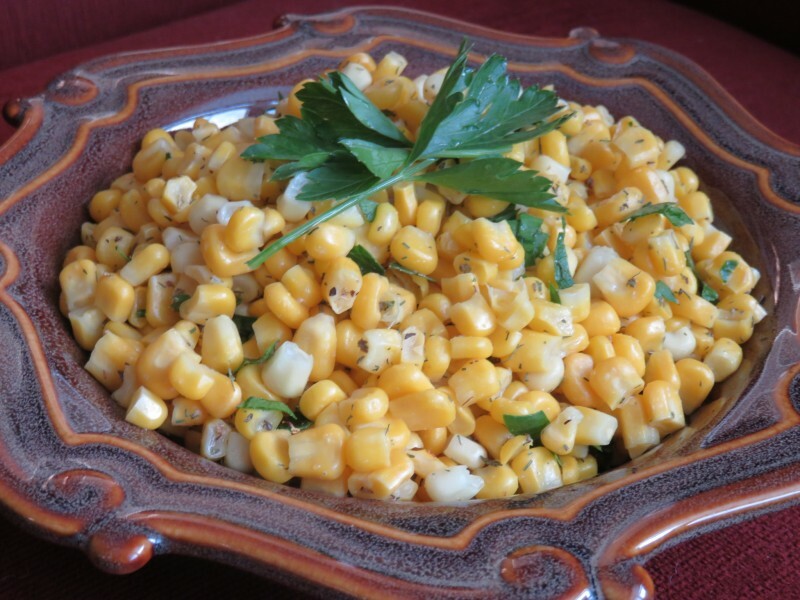 This simple recipe dresses corn up and makes it special enough for company. I love the flavors. Thank you! 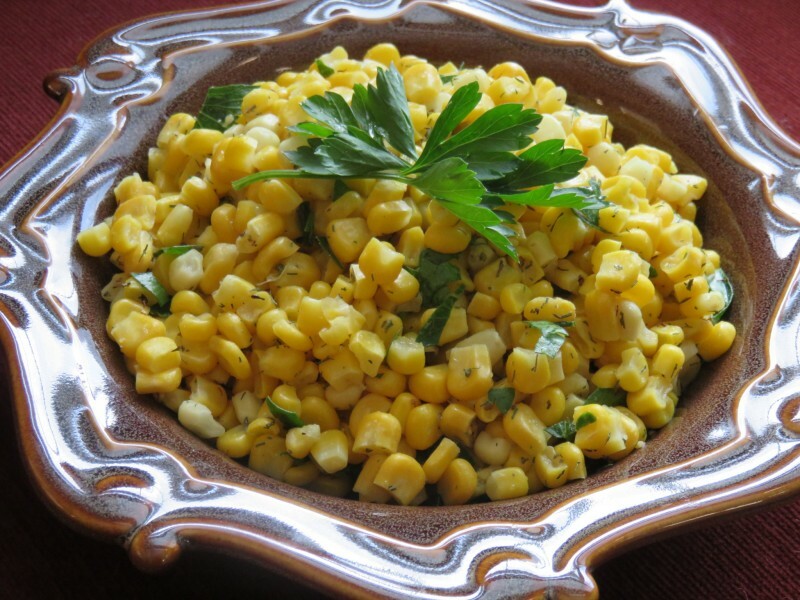 Yummy corn! This was super simple but very flavorful. Thanks for sharing, Karen. Made for Sweet December tag.